The deadline for the Tenth Annual Land Trusts Amateur Photo Contest is January 31, 2016. Entry forms for the contest will be available only by email after December 1, 2015 at photocontest@lymelandtrust.org. Amateur photographers are invited to share their love of the natural world by entering their favorite photographs. Children age 14 and under are especially encouraged to submit photos in the Youth category. Participants, no matter their town of residence, may submit photos that focus on the celebrated and scenic countryside of Lyme, Old Lyme, Essex, Salem, and East Haddam. Land Trusts in these towns sponsor this photo contest. Submissions are accepted from the first to the last day of January 2016. Contest rules are available online at lymelandtrust.org. The link is http://www.lymelandtrust.org/news/photo-contest/. Contest awards are being funded with the generous support of RiverQuest /Connecticut River Expeditions, Ballek’s Garden Center, Essex Savings Bank, ChelseaGroton Bank, Evan Griswold at Coldwell Banker, Lorensen Auto Group, the Oakley Wing Group at Morgan Stanley, and Alison Mitchell in honor of her late husband John G. Mitchell. John G. Mitchell was a life-long environmentalist and former photo contest judge. A panel of three judges will award $100, $75, $50 and $25 cash prizes in each of five categories. The categories are Landscape/Waterscape, Plants, Wildlife, and Cultural/Historic (human interaction with nature, including domestic animals and buildings), for participants 15 years of age or older. Photographers 14 years old or younger may enter photos on any of these subjects in the Youth Category. The Photo Contest will be judged by William Burt, a naturalist and wildlife photographer acclaimed for his beautiful books; Amy Kurtz Lansing, an accomplished art historian and curator at the Florence Griswold Museum; and Skip Broom, a respected, award-winning local photographer and antique house restoration housewright. All entered photographs, plus all winning photos, will be displayed and celebrated in a public reception Friday, March 11, 2016. 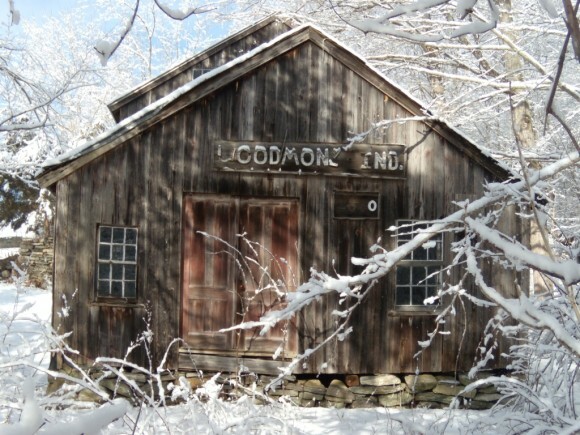 The Lyme Land Conservation Trust, Essex Land Trust, the Old Lyme Land Trust, Salem Land Trust, and East Haddam Land Trust encourage amateur photographers to join the fun and share wonderful photos from these southern Connecticut towns. Previous Land Trusts Photo Contest winning photos, viewable at https://landtrustsphotos.shutterfly.com/, highlight the beauty of these towns and the pressing need to preserve the environments within these towns.